As one part of the legume family, the mesquites are found in Northern Mexico and the United States. Besides, in the Chihuahuan Desert of Mexico, we can also find Mesquite trees. The three species of mesquites, Honey Mesquite, Velvet Mesquite and Screwbean Mesquite, share lots of characteristics. The Honey Mesquite is native to the Chihuahuan Desert, east of the Continental Divide. In the Sonoran Desert, west of the Continental Divide, we can find the most of Velvet Mesquite. The Screwbean Mesquite mainly grows in the northern Sonoran Desert up into the Mojave Desert. The needle-sharp thorns on the new growth of mesquite can be 75 mm long. It has bipinnately compound leaves (leaves with two or more secondary veins, each with two rows of leaflets) with woody stems and branches. There is a single or multiple-branched stem for Mesquites. Their leaves fall in winter and the tiny, five-petal, pale green or yellowish flowers come out from spring into summer, which small frothy-looking clusters �C called ��catkins��. The followers can lure lots of pollinating insects. There are hard and long-lasting seeds in the pods produced by Mesquites. Before germinating, the seeds must be scarified. Because Mesquite can grow wide-spreading, it is hardy plant and could tolerate the drought. Nitrogen is one of the minerals which is most important to plant germination and growth. Besides, colonies of bacteria, hosted in Mesquite��s deep-reaching root systems can just fix nitrogen. According to availability, the water table or from the upper part of the ground both can be its source of water using its long taproot to draw. Mesquite is found to be a good blood sugar balancer. Thus, it is safe for diabetics because that its sweetness comes from its content of fructose, which doesn��t need insulin. There is great deal of fiber in Mesquite. We have to spend 4 to 6 hours digesting them and absorb many other grains to get balance. However, it takes us only 1-2 hours to digest wheat. This phenomenon stops fluctuations in blood sugar and therefore can also avoid the feeling of hunger. Thus, mesquite can be used widely in diabetic's diet and helps keep a healthy insulin system. TWe can dry and ground the bean pods of the mesquite into flour, which can bring breads sweet and nutty taste and can also be used to make jelly and wine. Combined with other flours, mesquite flour can be used for baking and 1/4 cup-to-1/2 cup mesquite flour equals to each cup grain or rice flour. 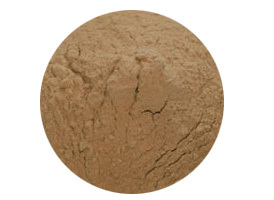 We can add Mesquite into the process of making breads, pancakes, muffins, cakes and even cookies. It can also serve as flavour when cooking teaks, chicken, pork & fish. Vegetable stir-fries, scrambled eggs, soups, even ice cream all can have the content of Mesquite.